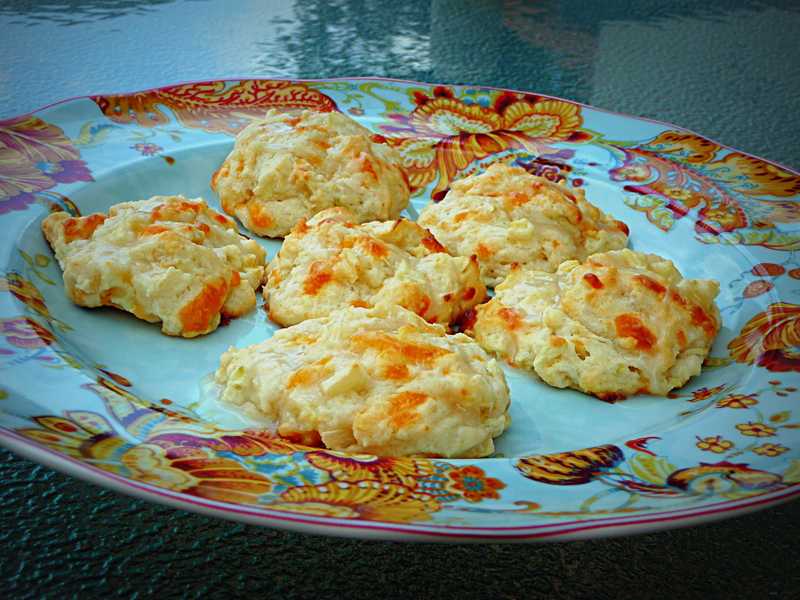 These biscuits may sound like a weird combination of ingredients, but they are so good. 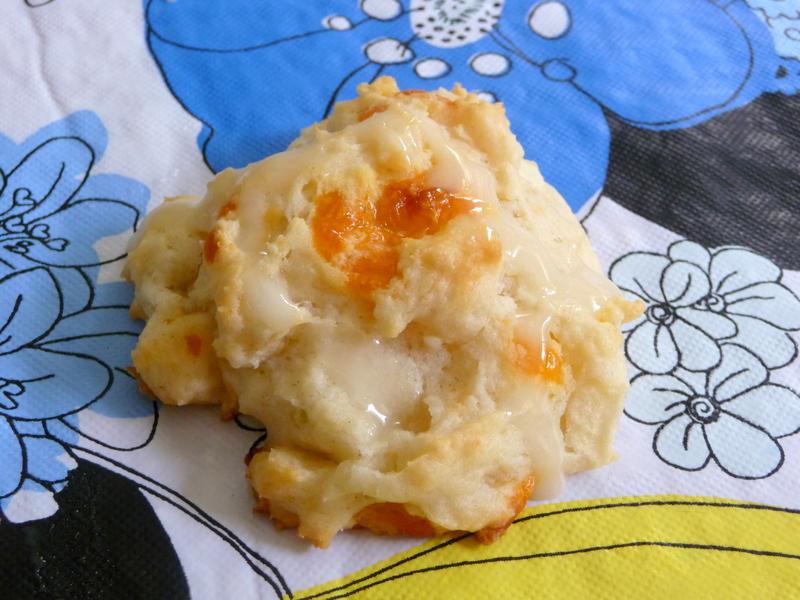 It is like having a cheddar biscuit mixed with a sweet apple pie. A great combination of sweet and savory. These could be a nice little dessert snack or eaten for breakfast. 2. Combine flour, sugar, baking soda, and baking powder in a medium or large bowl. 3. Cut butter into slices and add to bowl. Use a pastry blender to cut butter into the flour mixture until it combines and becomes crumbly. *A pastry blender is a curved set of metal wires that attach to a handle. It is not an actual blender. If you don’t have one you can use your hands to combine the flour mixture and butter. 4. Pour in buttermilk and mix until moistened. Stir in chopped apples and shredded cheese. 5. Form dough by using a 1/4 cup scoop and placing on the cookie sheet. Keep 1 inch in between each biscuit. *I did mine a little smaller- about a spoon and a half of dough for each biscuit. 6. Bake for 17-22 minutes or until lightly browned. Once cooked, move immediately to wire rack to cool. *the small ones took exactly 17 minutes to cook for me. 7. Place powdered sugar in a bowl and add apple juice concentrate slowly until desired consistency. Then drizzle over biscuits. This recipe makes about 28 small biscuits or 14 larger biscuits. They are best when served warm right out of the oven, but can still be enjoyed refrigerated and heated later.